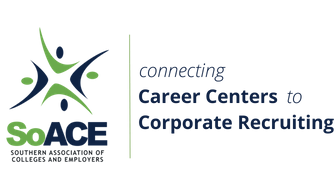 The Southern Association of Colleges and Employers, Inc. (SoACE) is an organization of human resources, college relations and career service professionals. Our mission is to promote partnerships between career services professionals and employers by providing innovative resources, professional development and networking opportunities to facilitate the career development and employment of students and alumni. Read about the full history of SoACE. Identify trends, issues, challenges, and opportunities in the profession. Membership dues are $130/person for professional members and $55/person for student members. Let SoACE help you expand your network and knowledge base. Join SoACE today! For more information about SoACE please contact the SoACE Association Office at [email protected].